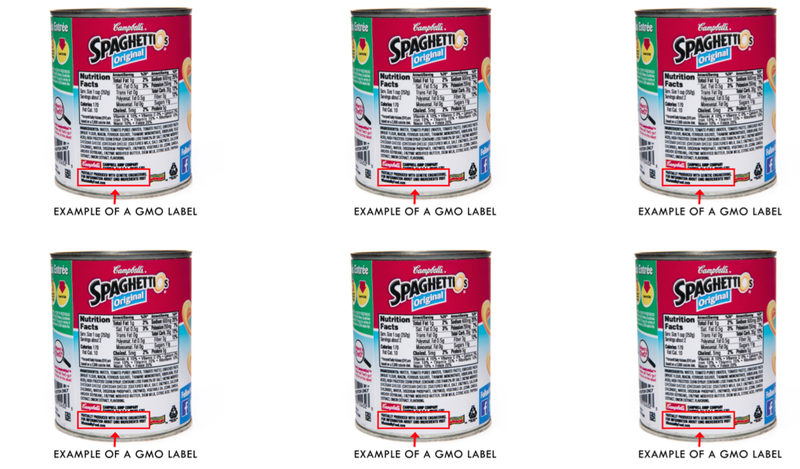 Today Campbell’s became the first large food company to announce that it would begin labeling all their foods that use GMO-ingredients. Should GMO labeling advocates start celebrating? Nope, and here’s why. Campbell’s is one of the world’s largest food companies, with foods ranging from SpaghettiOs to an array of soups and cookies, that show up in supermarkets all over the country. By any measure, the company throwing its support behind labeling is a big deal, and GMO labeling advocates are already asking whether it could be the start of an even bigger one. Namely, could Campbell’s move eventually force their competitors to follow suit? Sure, in fact, that’s part of the reason that it could become a problem for the pro- and anti- GMO labeling movements alike. As Campbell’s acknowledges, there isn’t yet any set definition that food companies have to meet to stick a GMO label on their foods (though they’ve said they would support one being eventually made by the federal government, and would try to get guidance from the FDA and USDA in the meantime). What that means is that, at least for now, it’s going to be left up to food companies to decide what does and doesn’t meet the standard. And we already have an excellent example of just what happens when a largely-undefined (perhaps undefinable), but still highly-charged food term gets coopted into food-marketing. In the last decade or so, food marketers have been having a grand time affixing the “natural” label on everything from 7-up to fruit snacks to Cheetos. The FDA has just recently started suggesting that they might be moving to break up the party by coming up with a standard definition of what “natural” might mean, leaving a vacuum that could easily be filled by GMO labels. Okay, so, what happens when you go to that website? There is, indeed, if you look for it, a list of GMO ingredients. To be fair, they do also include a note that they are considered “safe and aren’t different from other ingredients.” The most attention, though, is lavished on talking-up individual products as “fresh” and carefully-sourced. For instance, their description of the SpaghettiOs you see labeled above lists it as a “simple, affordable pasta dish” with “no artificial flavors, no artificial colors, no preservatives and no added MSG,” which sounds more like a light carbonara straight from the skillet than something that could technically be eaten right out of the can. It’s still pretty early to predict just how many food companies could end up adopting GMO labels of their own. But as “naturally” labeled foods have shown us, definitions made up by and policed by what are essentially marketing teams can end up taking us to some surprising—and sometimes quite undesirable—places.